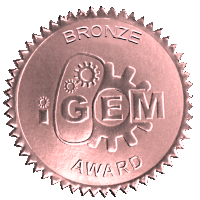 Prof. Nair is the faculty mentor for Tufts Synthetic Biology, our iGEM team (2014, 2015, 2016, 2017, 2018). Congrats to the team on winning a gold medal at the 2014 jamboree and bronze medals at the 2015, 2016, and 2018 jamborees!! E-mail Prof. Nair if you are interested in joining the team. Our conferences on Phage Therapy (in October 2014) and on Synthetic Biology and Intellectual Property Law (in October 2015) were huge successes! A BIG thanks to Synenergene for sponsoring both conferences! Our lab has initiated a collaboration with Mr. Rocco Cieri and Ms. Audrey Carmosino Feitor at Medford High School with the help of Karen O’Hagan (Tufts Chemistry Outreach) to introduce their Honors Biology class of freshman and sophomores to Synthetic Biology and Biological Engineering. Several lab members went to MHS in summer 2015 for the first time and have returned in subsequent years with expanded modules. Here are the materials we used to introduce the concepts: (Summer 2015 slides, Summer 2016 protocol Summer 2016 slides pt2, Summer 2016 slides pt3, Summer 2016 slides pt1). The fluorescence reporter strain was obtained from Addgene. See pictures from summer 2015, fall 2015, summer 2016, summer 2017, summer 2018. The lab is also open to accepting volunteers from local high schools who want to gain some hands-on experience in our lab.